Advertising opportunities on our website, newsletters and emails, are open to public and members. 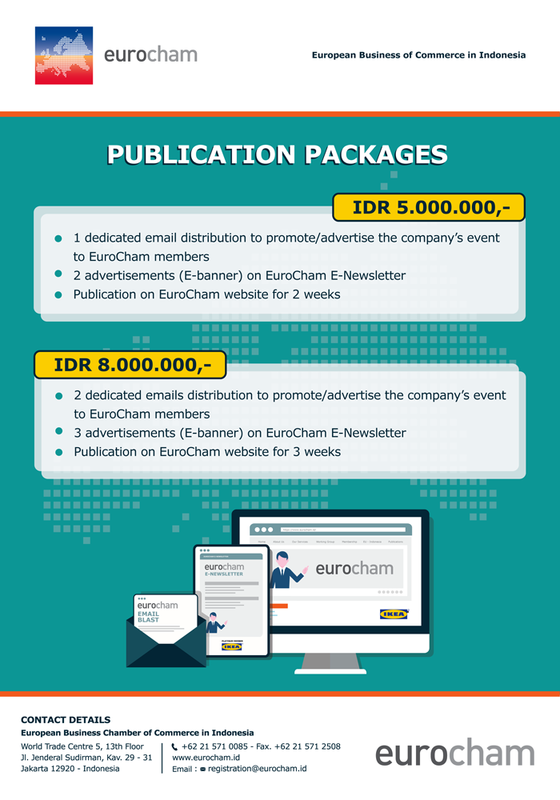 Please reach us at info@eurocham.id for more information. Click here for our Publication Packages. The EIBN (EU-Indonesia Business Network) holds a joint gathering. The EIBD conference is held annually. Sponsorship for 2018 EIBD is now open.